This month (and through the rest of the year), we have some great helpers with us at The Cove. They arrived in recreational vehicles, but they got right down to business! Who are the SOWERs – the new volunteers at The Cove? SOWERs, or “Servants on Wheels Ever Ready,” are a group of approximately 750 couples who desire to serve Christ by serving others. We are born-again Christians who have recreational vehicles (RVs), are self-supporting and are retired or semi-retired. We delight in serving the Lord by using our various skills and God-given gifts to perform volunteer work. We enjoy the RV lifestyle and the adventure of traveling throughout the United States and North America. Some of us are full-time RVers, while others maintain homes and travel periodically to work on various projects. The SOWER Ministry provides volunteer help to non-profit Christian ministries. We assist Christian churches, camps, conference centers, orphanages, schools, colleges, missionary retreat centers and training facilities, refuges for neglected or abused children, and recovery homes for adults and other ministries through the organized teamwork of volunteers. We are primarily a physical labor ministry. 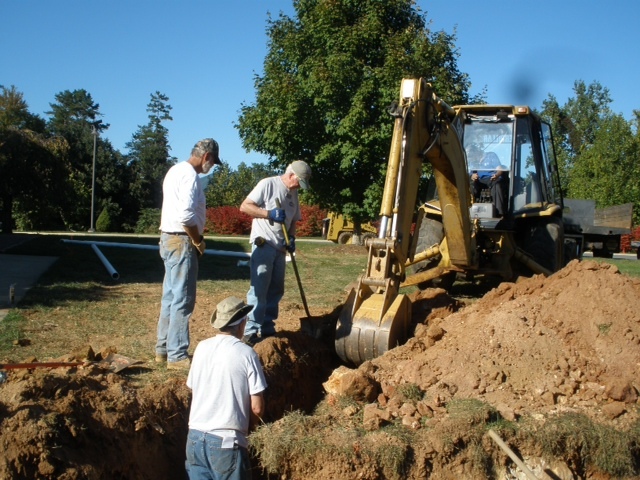 For most projects, the men are involved with the construction or remodeling of structures and associated utilities, repair of vehicles, and landscaping, using their various skills of carpentry, electrical, plumbing, roofing, masonry, mechanics, etc. Women help with office work, tutoring, sewing, painting, kitchen work, cleaning and more. SOWER men work approximately six hours per day and the women work three hours each day, four days per week. This is our first project at The Cove. We are delighted to be here and have been enjoying the wonderful staff who have made us feel so much a part of the ministry. If you have been over to the maintenance area you have seen a bit of construction going on. The first project the men have been doing is the construction of the RV sites for future SOWERS. The women have been working at the Administrative Building helping the staff with various projects. Being a SOWER is not all work. At every project, we meet old friends and new friends. There are social celebrations, getting together with other SOWER groups that are close by and lots of fellowship. We enjoy special ongoing relationships as we connect and reconnect with each other over the years. Each new relationship is a precious jewel in our hearts. So many times we receive such rich blessings from the project that the little we are able to give seems quite secondary. That is the case here at The Cove. If you would like to learn more about the SOWER Ministry, visit www.sowerministry.org. 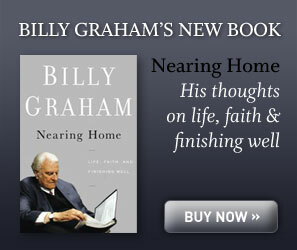 We are very excited about the buzz surrounding Billy Graham’s new book – his 30th. The book, officially debuting on Oct. 18, is called Nearing Home: Life, Faith and Finishing Well. It contains personal autobiographical reflections from Billy Graham on how he has come to view old age, including the realization that the time to prepare for one’s senior years is now. Learn more about the book from his son Franklin and his long-time colleague Larry Ross in this article on BillyGraham.org. You can find excerpts from the book on the Billy Graham Evangelistic Association website, as well. Also, here’s an article about the book from Michael Gordon of The Charlotte Observer. Skip Heitzig Playing the Ukulele? That’s right. Skip Heitzig, pastor of 14,000-member Calvary of Albuquerque, was with us here at The Cove. And, we learned that when he’s not preaching, teaching, writing or ministering to thousands through his multimedia ministry, he enjoys playing his ukulele. Something else you might not know about Skip. As a teenager, he got caught up in drugs and ventured into the occult. But God reached him one day in 1973 as he was watching a Billy Graham crusade on TV. The Gospel message penetrated his soul and he knelt and prayed to receive Christ. To God be the glory! “Connect” with Skip and tune in to his radio show at www.connectionradio.org. Also, if you want to see more videos from The Cove, check out our YouTube channel at www.youtube.com/thecovenc. Do you love to read a good biography or autobiography? For many people, these are their favorite types of books to read. Have you ever thought of the Bible this way? Through reading His Word, it’s possible to know God, who is both invisible and wholly different from us. As your comprehension of who He is and how He operates in the world increases, you’ll discover how to listen so you can hear Him speak and how to recognize His will enacted in the circumstances of your life. You’ll have a deeper understanding of the biblical God, experience more fulfilling interaction with Him, and learn what it means to be His friend. Join us for a free live webcast with Skip Heitzig tonight, Oct. 10, at 7:15 ET! 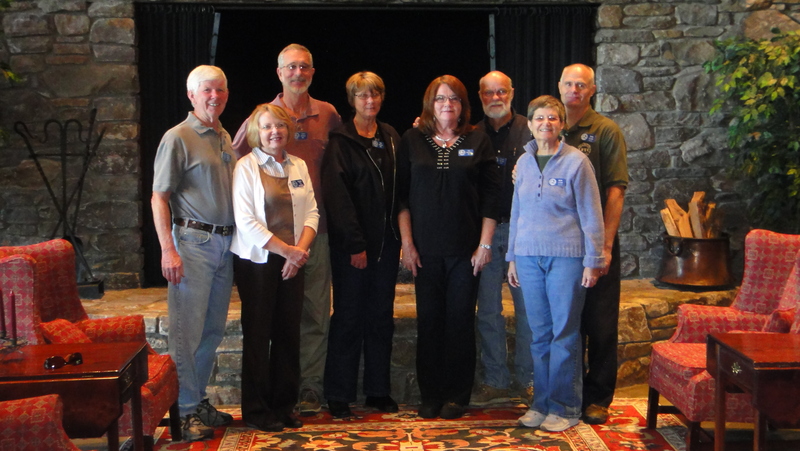 Recently, award-winning group Selah joined us at The Cove for a concert. We had the opportunity to sit down with them for a while. Amy Perry shared with us about how expecting a child (she’s 20 weeks!) has helped her grow in her relationship with the Lord. Check it out. We just launched a brand-new, redesigned website. Check it out at www.thecove.org. We’ve organized the content to make it easier to find exactly what you are looking for – upcoming events, news and announcements, information about hosting a guest group event, and more. In addition, in the “Resources” section, you can find a daily devotion from Billy Graham, plus the archive of past daily devotions. We hope you’ll consider reading those as you grow in your daily walk with the Lord. Stop by and, as always, feel free to let us know what you think. Our assistant director, Will Graham, who often travels the world preaching the Gospel, just completed an 18-day visit to the United Kingdom on Monday. His trip culminated with Rock Thurrock, an evangelistic event over the weekend just outside of London. While it was held in a smaller venue, nearly 300 people came forward when invited to make a decision to follow Jesus. And, about 75 percent of those were between the ages of 10 and 18. Please join us in praying for these new believers! In addition to his messages, Will brought greetings from his father, Franklin Graham, and grandfather, Billy Graham, who has a long history of ministry in the United Kingdom. Throughout his time in the country Will was warmly welcomed by many people who recalled seeing the elder Graham preach in one or more of his many UK events, beginning with his Greater London Crusade at Harringay Arena in 1954 and ending with Mission England in 1989. Prior to the opening night of Rock Thurrock, Will spent two weeks touring the United Kingdom and speaking to several different groups from Cardiff to Exeter. Earlier in the week, a wide range of church leaders from the London area gathered to hear the news that Will’s father, Franklin Graham, would be part of a large-scale evangelistic outreach in the UK. It is anticipated that the event will take place in London in 2013. 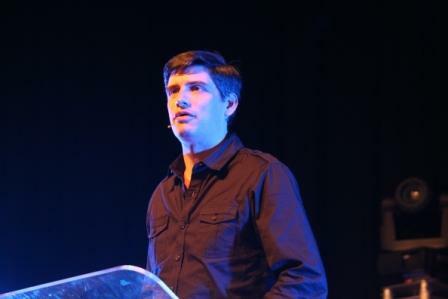 To learn more about Will Graham and his ministry, join him on Facebook and Twitter! Please continue to pray for his ongoing ministry. We all make bad decisions. And, those decisions certainly have consequences. But, God remains faithful. His love for us never fails. Tonight, the opening session of Erwin Lutzer’s seminar at The Cove entitled “Making the Best of a Bad Decision,” is available for free online. Tune in to the free webcast tonight, Sept. 26, at 7:15 ET.